Professor David Spiegelhalter OBE, FRS is a distinguished statistician. In 2007 he was elected Winton Professor of the Public Understanding of Risk in the Statistical Laboratory, University of Cambridge and a Fellow of Churchill College, Cambridge. He divides his work between the Statistical Laboratory and the Medical Research Council Biostatistics Unit. He is an ISI highly cited researcher and one of his academic papers was the 3rd most-cited mathematical papers in the world over the last ten years. 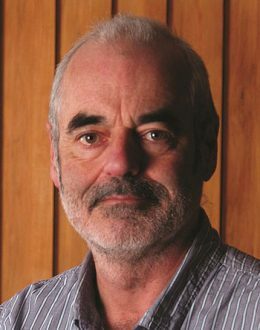 In 2010 he was awarded the Weldon Medal from the University of Oxford for ‘the most noteworthy contribution to the development of mathematical or statistical methods applied to problems in Biology’, and an Honorary Doctorate of Science from the University of Plymouth for services to statistical education. He has been President of the Mathematics Section of the British Science Association, and a Fellow of the Royal Society. A guest columnist in The Times, The Guardian, New Scientist and Plus Magazine, as well as featuring from time to time in a number of similar publications, David has also made appearances in television documentaries such as The Joy of Stats (BBC 4), To Infinity and Beyond (BBC2), and radio programmes such as Today, More or Less, You and Yours, The Investigation, Analysis, PM and others. David is highly active in ‘maths outreach’ to schools, through initiatives such as Millennium Mathematics Project, the Risk Roadshow for schools, University of Cambridge Widening Participation, Royal Institution Masterclasses, Maths Inspiration, Cambridge Science Week, as well as talks in individual schools and colleges. He is also a Director of Straight Statistics which is intended to „improve the understanding and use of statistics by government, politicians, companies, advertisers and the mass media”. Over the last 4 years Professor David Spiegelhalter has given over 200 talks to around 25,000 people, including 10,000 university students. Defying certain professorial stereotypes, David is an exceptionally dynamic speaker with a passion for bringing applied mathematics policy makers and businesses. Aside from the outreach activities discussed on his biographical page, David has addressed a vast range of audiences and organizations.